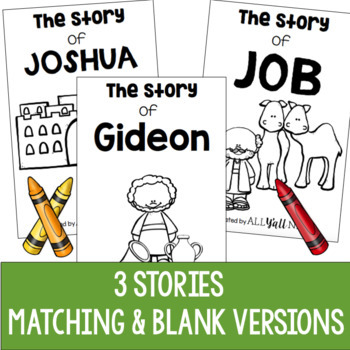 These Bible stories are designed to give children with special needs a way to have Bible lessons reinforced and taught through repetition. The books are designed to supplement Christian curriculum for special-needs ministries, Sunday School, and Vacation Bible School (VBS). 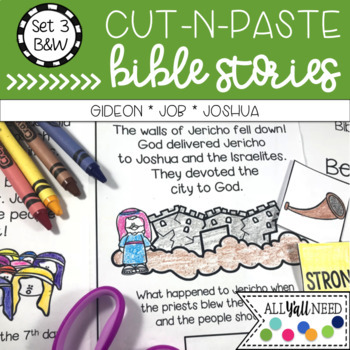 Present the Bible story then let children make these fun cut-and-paste books to take home! The only supplies needed are ones you probably already have - crayons, scissors, and glue. Two versions of each story are included. The first is a matching version. The second version has blank pictures and is more challenging. This allows you to adapt for the children you serve. Two formats are included. The first version allows for one-sided printing and copying. 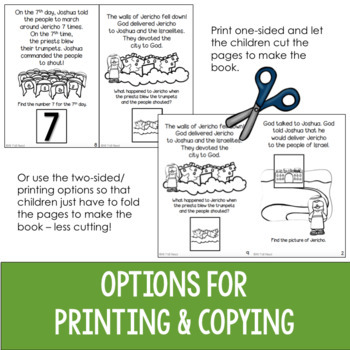 The second allows for two-sided printing and/or copying - just fold the pages to make the book! These are good for children with motor concerns who have difficulty cutting. See PREVIEW for more information. We have more units for special-needs ministry. 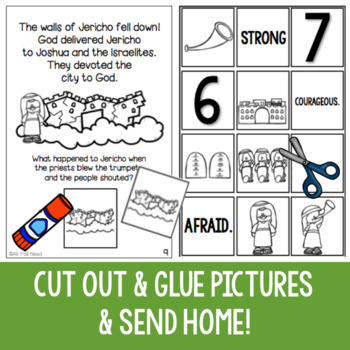 Click HERE to see our colorful and durable Bible stories, play-dough mats, and more! Be sure to Follow Us for future products!